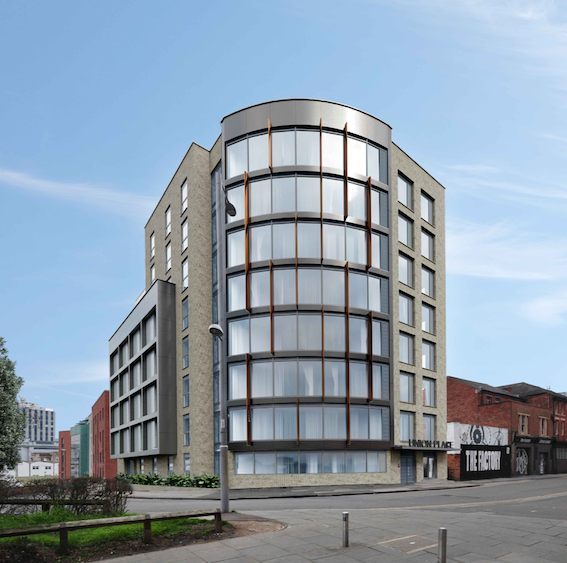 Plans from Environment Design Consultants, for new student accommodation on land at the corner of Union Road and Curzon Street, have been submitted to Nottingham City Council. The 550 sqm site is currently open and unused. The development would comprise of a single building that steps down in height from eight storeys to five. The building is laid out as eight cluster flats. Each floor will feature one flat. 74 bedrooms, with en-suites, will be provided across the building. There will also be a common room on the ground floor. A design statement reads: “The National Planning Policy Framework states that the purpose of the planning system is to contribute to the achievement of sustainable development and identifies that there are three dimensions to this – economic, social and environmental. “The proposal will fulfil an economic role by bringing forward the development of a vacant brownfield site and by providing employment during the construction phase. “It will fulfil an economic and social role by providing accommodation for residents who will then make use of local facilities including local shops, public houses, restaurants and hot food takeaways, and leisure facilities.